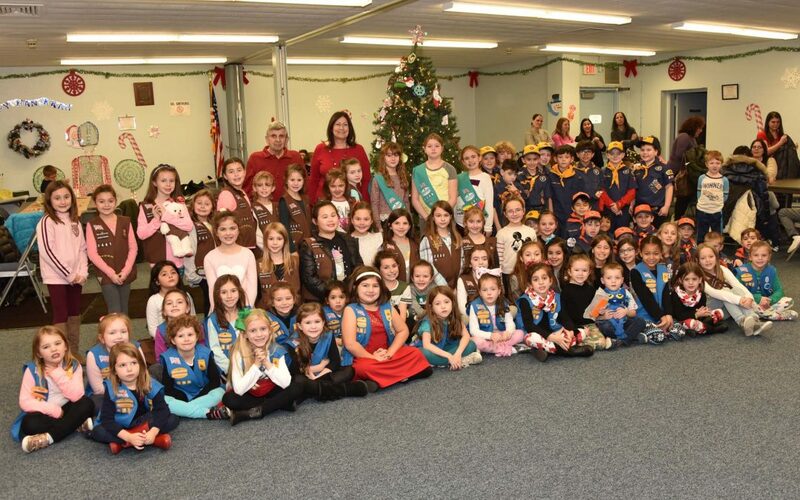 The Village of Massapequa Park invited local Boy and Girl Scouts to Village Hall to decorate the Village Hall Christmas Tree in preparation of the Village’s Holiday Open House. Each child made ornaments which were hung on the Christmas tree. Pictured along with the Scouts are Deputy Mayor Teresa Spinosa and Richard Begandy.